The Juror for the exhibit is Gary P. Bergel. Gary Bergel is a multidisciplinary artist, adjunct professor, and curator at Blue Ridge Community and Technical College. Bergel holds a BS in Secondary Education and an MA Fine Arts degree in mixed media, photography, ceramics and installation from the University of Wisconsin, Madison. He founded Space Gallery and curated a wide variety of exhibits while teaching Arts and Ideas courses at Western Michigan University, Kalamazoo. WMU Ford Foundation grants enabled him to explore experimental printmaking, photography, and mixed media installation. Bergel has owned and operated galleries in Wisconsin, Michigan, and Virginia. His works are in private and public collections, and have been accepted into and won awards in many national and regional competitions. 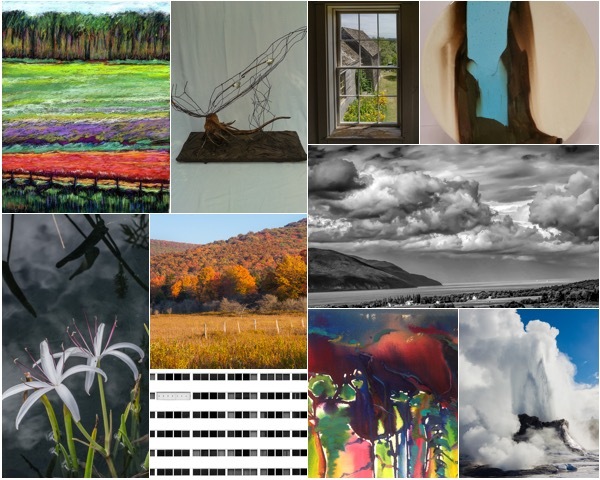 The entry notification announcing the juror’s selections will be sent by email and accepted artists will also listed on our web site, http://www.berkeleyartswv.org, on or about August 17, 2018. Detailed delivery and shipping instructions and schedules will be provided when the accepted artists are announced but work must arrive by September 1, 2018. For hand delivered work, The Berkeley Art Works hours are Wed (Aug 29) 11-5, Thu (Aug 30) 11-5, Fri (Aug 31) 11-5, and Sat (September 1) 11-4. Shipped work must arrive between August 29 and August 31, 2018. If you must ship your work, please contact us for instructions.